10th August. Posted in Guides. Setting up and choosing a WordPress hosting company are the most common questions I hear from WordPress website owners. Setting up hosting can certainly seem like a daunting task as there are quite a few steps involved and choosing a host to begin with worries people because they are scared of choosing a bad host and wasting their money. I’ve already talked about choosing a cheap (but good) WordPress hosting company so this topic is covered. Head over and read that article now if you’re still thinking about which WordPress web host to choose. This article will be about setting up your Website on the host you choose. 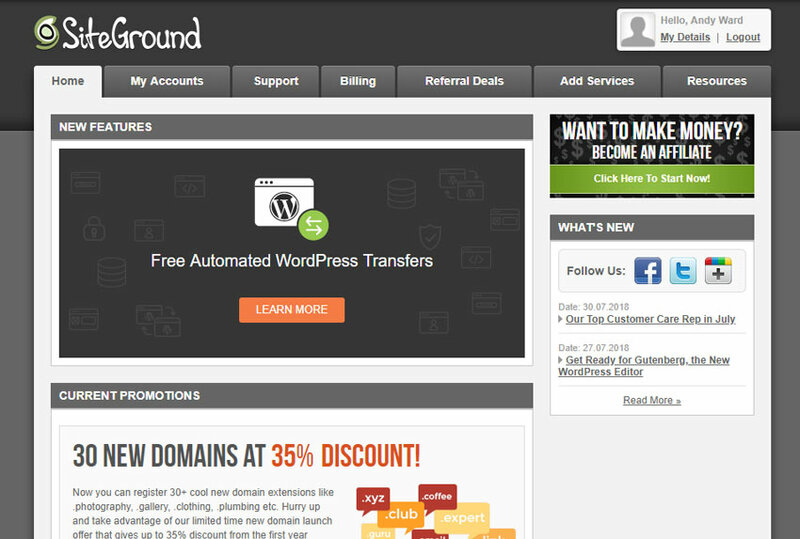 I’ll be using SiteGround as an example as this is the host that I recommend in my article about choosing a web host. First, let’s run through creating an account. You can skip this section if you already have a SiteGround account. Go to siteground.com. Click on the button to sign up. You will see a page like this. 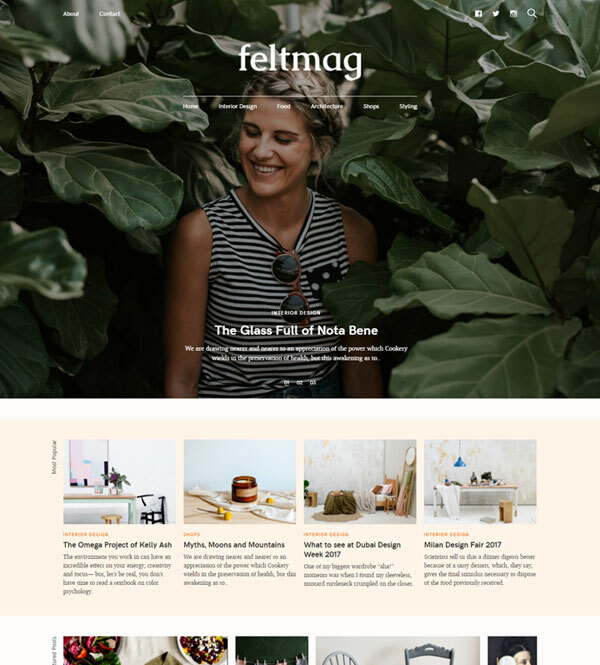 If this is your first website and you are a beginner, choosing the StartUp plan would be a good choice. If you’ve got some experience already or you have multiple websites then choose either the GrowBig or GoGeek plans. On the next page, you can enter and existing domain name or choose a new one. A new domain will cost you a little extra. When you are ready, click the proceed button. Next, you will see the information you need to enter in order to create your account. Enter your account and payment information. You will also have the option of choosing a period to keep the hosting for – 12 months, 24 months or 36 months. The price remains the same for each period so just choose the 12 month option. You can also choose a trial account for 1 month if you’re not totally sure SiteGround is for you but you have to pay a set up fee to activate it. Once you’ve entered your information and chosen you billing period, create your account. 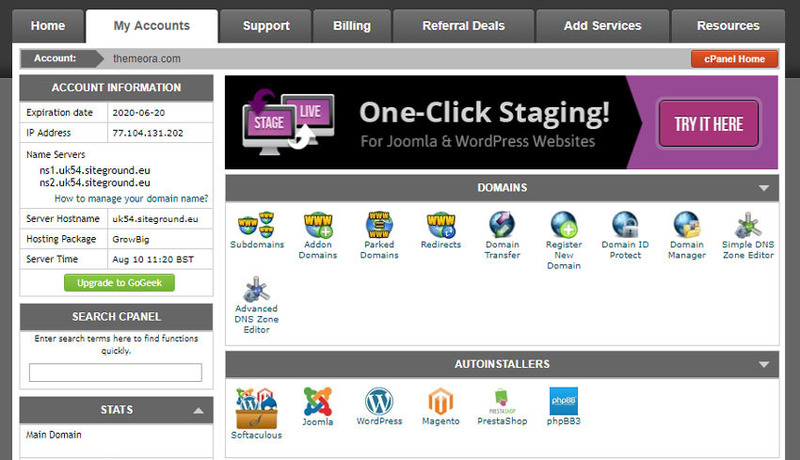 Congratulations, you now have an account with one of the best WordPress hosting providers available! Under the ‘Autoinstallers’ section, click on WordPress. You will then see a link to install WordPress. You will be asked to provide details such as a username, password and site title. Enter these details and choose a very strong password. Do not use ‘admin’ as your username as this is any easy username for hackers to guess. When you are ready, hit the install button and WordPress will be set up for you. Awesome! If you struggle with these steps, SiteGround has a good help article about this here. For advanced users, its a good idea to set up WordPress manually. You can create your FTP account from your cPanel and use a program like FileZilla to upload your files manually. You can set up your database manually too using phpMyAdmin from you cPanel account. If this is gibberish to you, don’t worry, just stick to the basics, but if you would like to learn more, click here. If you already have an existing domain name, you will need to point it to the SiteGround name servers. This process will be different depending on who your domain name is registered with. Log in to the provider of your domain name and find the section for manage DNS or manage name servers. Your domain name provider will be able to help with this too, so drop them a line if you cant find it. Once you’ve found it change the name servers to the ones provided by SiteGround. You will see your name servers in the cPanel of your SiteGround account. Once you’ve made the change, it can take some time for the domain to start working but you should see it working within 24 hours.